You don't want a hotel or pension in Barcelona city? You want to feel like you are home? Then this Modern Apartment in Gothic Quarter can be one of the choices you would like to think over about accommodation in Barcelona city. Being tourist in Barcelona doesn't mean that you will stay as tourist. You can feel local in this Catalan city. For travellers who prefer to hang around at the city centre of Barcelona city then this apartment will offer you the best accommodation option. 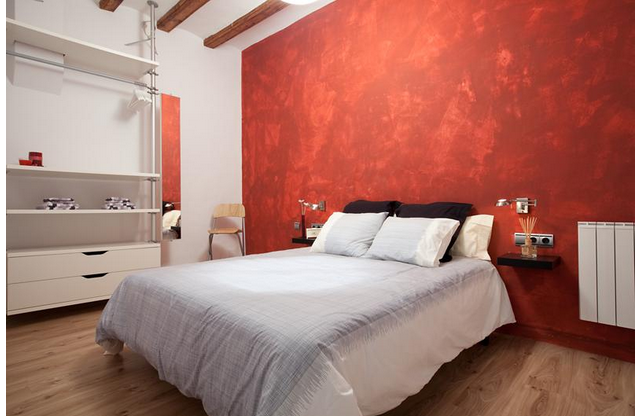 So what are the facitilities of this rental apartment in Barcelona city? In Barcelona, hotels, pensions, rental apartments and houses offer real comfort and there are many options at reasonable prices. This building presents logical price per day. We think the apartment is not expensive. You will decide at the end that it is cheap apartment in Barcelona. Per day it is around 85€ and may vary according to day and person option. The flat consists of 2 rooms and a bathroom. Maximum 5 people are allowed to stay. There are two seperate single beds, a double bed and a sofa. The kitchen is equipped with furniture and food options for self service. The owners have thought everything in detailed for your comfort. 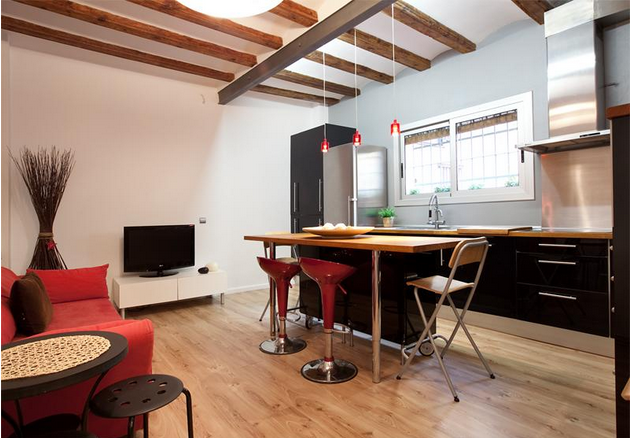 This modern rental apartment in Barcelona is at the heart of the city, Gothic Quarter. You can hop into Las Ramblas or Plaça De Catalunya in 5 minutes on foot. It's easy to access taxi, metro and bus stations. When you go out of the building you can get La Boqueria Bazaar in a couple of minutes. So if you would like to choose your accommodation in Barcelona with comfortable, reasonable prices and lux offers then you can contact to Raul and you will get reply in a couple of hours at most. For accommodation in Barcelona you can check our other posts. We will continue to present different rental houses and apartments in Barcelona city so stay wity your Barcelona travel. Enjoy your staying! You can check reservation choises at tripadvisor. Estoy de acuerdo con su punto de vista de este artículo. Este es un buen artículo. Muy oportunamente nos ha dado mucha información útil. Gracias!